The Georgian people are deeply concerned over the economic situation and the country’s territorial integrity, and have become less optimistic. 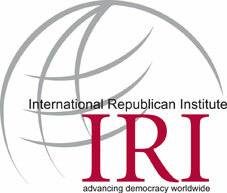 According to a recent poll released by the International Republican Institute (IRI), Georgians still believe in the qualities of democracy and support closer relations with the West. The poll showed that 85 % of respondents support Georgia’s membership in the European Union and 78 % would like Georgia to join NATO. Unemployment and the lack of economic development remain the two most important problems for Georgians. According to the survey, 55% say the country is on the wrong track, and 76% feel that the Russian Federation poses a threat to Georgia, while 88% say that Russian aggression toward Georgia is ongoing or likely to resume. 42% said the current government’s handling of Georgia’s relationship with Russia can be assessed as “somewhat positive”. 30% of those interviewed, believe solving healthcare problems is the main accomplishments of the Georgian government. “In the face of growing concern over the economy and territorial integrity, Georgians continue to believe in the importance of closer ties with Western democracies,” said IRI President Mark Green. 98% of Georgians said that they never had to pay a bribe in the last 12 month in order to get a service or receive a necessary decision. The Orthodox Church, the Army and Georgian Media remain the most trusted institutions in the country. The survey, funded by the U.S. Agency for International Development, was conducted in all regions of Georgia from February 3-28, 2015, with a randomly selected sample of 1,500 permanent residents of Georgia 18 years and older that are eligible to vote. The margin of error is +/- 2.5 %, and the response rate was 70 %.